Have you ever wondered why some individuals achieve tremendous success in life, and are happy? While other people put forth great effort, and still fail to maximize their talents, or reach their full potential. Do you aspire to do better, be better, and achieve more in every aspect of your life? If so, this book is definitely for you! By reading “You Are Better Than Your Best” you will discover the knowledge, traits, and principles that are necessary to be successful and happy. In the process you will be meticulously guided through some proven techniques that will provide insights into enjoying a more complete and fulfilled life. While many books have been written, and numerous writers have expounded on the merits of self-help, I believe I am uniquely qualified to write this particular book. Among other things, like many of you I have faced adversity, I know how it feels to be languishing in life, unsure of which way to turn, what to do, or who to go to for support. I understand what desiring more than you have today feels like. And, I have experienced having dreams, and aspirations, that were bigger than what other people thought would be possible, or appropriate, for me. The truth is you do not pursue success and happiness you create it. This book describes how a successful, happy, and meaningful life is attainable by anyone who possesses the three D’s - Desire, Determination, and Dedication. Stop procrastinating, and change your ‘cannot’ attitude, into a ‘can do’ attitude. All of your dreams and aspirations are achievable. Set in motion the attributes reflected on the pages in this book, and embark on a fantastic journey that is going to totally transform your life.......... "All" of the author's proceeds from "You Are Better Than Your Best" will be used to help underprivileged kids attend college. Help us help others realize their dreams! Lionel L. Nowell III is a successful business executive. Over the past 30 years he has passionately mentored, and assisted, numerous people as they pursued, and achieved, their dreams, goals, and ambitions. 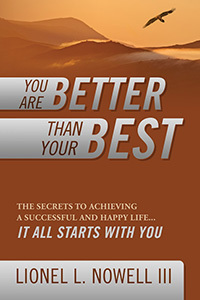 “You Are Better Than Your Best” is a compilation of experiences and knowledge that Lionel has acquired over the years, and in this book he shares that wisdom, and unravels the mystery of attaining success. 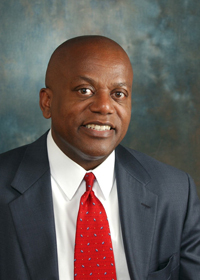 Lionel is a requested speaker at conferences and seminars, has contributed to many books and publications, and currently serves as a director on several public company boards. Lionel and his wife, Denise, have four grown children and make their home in Cos Cob, Connecticut.